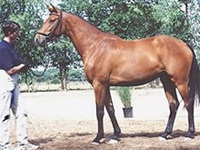 The Horses Unlimited breeding program is based on having the highest quality mares available. Potential mares are evaluated on their bloodlines, conformation, temperament, athletic ability and production record. Here are our lovely ladies.